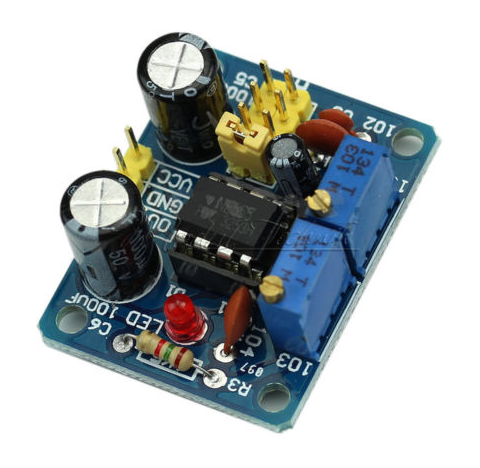 The 555 timer is capable of being used in astable and monostable circuits. In an astable circuit, the output voltage alternates between VCC and 0 volts on a continual basis. By entering the values for T1, T0 and C1 we can determine the resistance values for R1 and R2. Also the correct Time High (T1), Time Low (T0) and Frequency aswel as the Duty Cycle in % is calculated. The calculated resistance values are calculated from the Standard series E24. The switch-on time T1 must always be greater than the switch-off time T0.